We know every situation is unique, so we developed packaging options to fill any need. You should have choices! 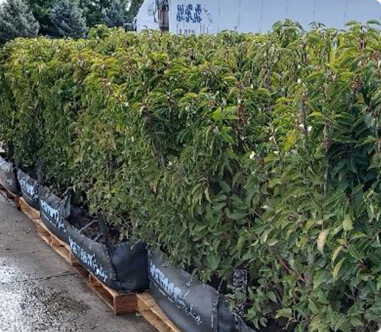 Our boxwood hedges are container-grown in custom plastic pots, but our field-grown hedges can be shipped in 3 different ways. 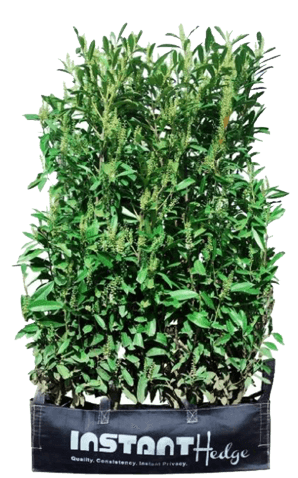 Boxwood are the only type of InstantHedge unit grown and shipped in plastic containers. 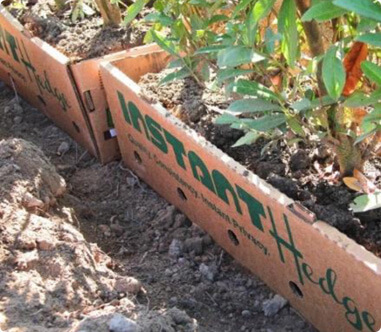 The Biodegradable Cardboard Box is the best option for hedges that are going to be planted within a few weeks after shipping. The box itself can be planted right along with the hedge and will be fully degraded in about 45 days. The roots grow right through, no problem. This makes installation incredibly easy, with zero waste. We can ship 3 hedge units per pallet in cardboard. 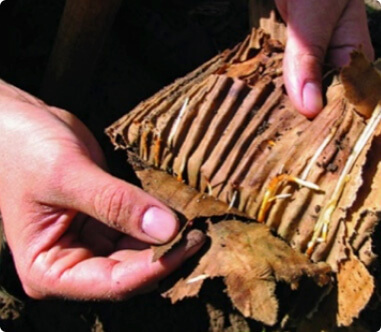 The cardboard degrades within 45 days, and the healthy, vigorous hedge roots grow through. 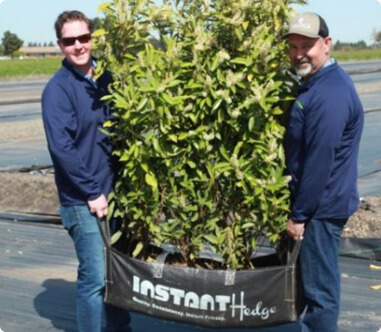 Our custom Fabric Bag is recommended for cases when a hedge unit isn’t going to be installed for several months after shipping. They can be watered and sit out in the sun with no problem. They have 4 handles so they can be easily moved around with 2 people. Just cut the bag away when planting as they will not break down in the soil.Hedges in bags can ship 4 per pallet. 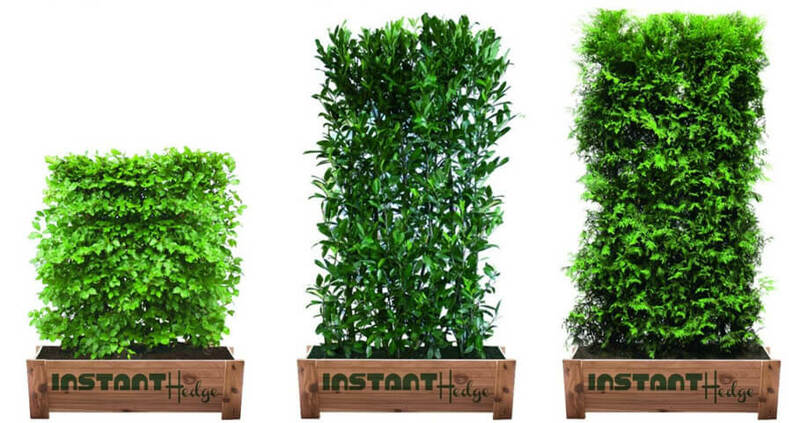 patios, and rooftop gardens needing a containerized hedge. No matter what kind of packaging you choose, we can ship any time of year with extremely fast turnaround. 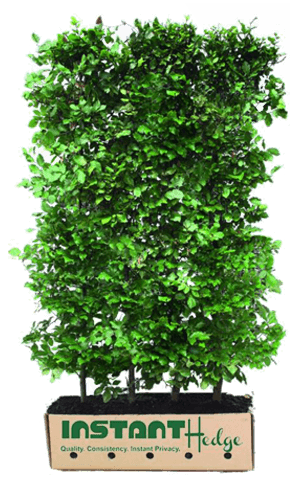 Since our hedges are extensively root-pruned, we can harvest any time without cutting off large roots and causing shock. As each hedge unit emerges, the healthy root system is plain to see. The unit is nestled into the chosen package – cardboard, fabric, or cedar – and loaded onto a pallet for shipping.